Ken's Skooba Spot: What's so Technical about Tec Diving? 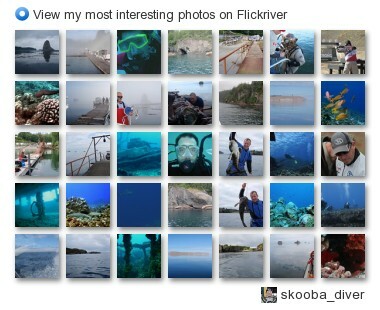 Tec Diving, DIR, GUE, Hogarthian, Cave Diving, Wreck Diving, CCR, Open Circut Twins.... The list of terms goes on. So how does Tec Diving differ from "recreational diving? The simple explanation is that technical diving is that diving world that lives beyond the standard recreational world we learned about in our Open Water Course. It often includes depths beyond the recreational standard limits of 130 feet; or dive times that require decompression stops. Essentially, if you couldn't do a CESA (Controlled Emergency Surface Accent) without harming yourself you are entering in to the area of tec. So, what's the "tech" part of the sport? Well, the technical aspects come into play when you consider that without the opportunity to "humm" yourself to the surface if things went bad you need to have a plan, gear, skills and experience to get home ok. Let's look at each of those to see how the tech gets into the label. Dive Plan In the Open Water course you learned how to use a set of dive tables to calculate your nitrogen loading, surface interval and maximum NDL (No Decompression Limits). In Tec Diving, you not only calculate your nitrogen loading; but your gas usage and needs, alternate gas switches and any decompression stops if necessary. Plus, a set of plans if you happen to go too long or have to go too deep. Tec Gear In recreational diving we get by with a dive that if we forgot something; or a piece of equipment failed we would just end our dive an go home... with technical diving we may not have that option. So the gear and configuration of that gear needs to provide life support even if we had something really bad happen like blowing a high-pressure hose at depth. Dive Skills This and experience are probably the most overlooked and dangerous elements of technical diving. You can go buy a set of twins. You can plan to dive to 185 feet. You can stay down there for 20 minutes...But, if something was to happen would you instinctively know what to do. Remember, you'll be narc'd, scared and flustered. That's why most good Tec Classes are intensive and expensive. If you want to get Cave Certified; it's a week long course and they will screw with you. Period. Too many dead cave divers. Experience So you take a tec course, get certified to dive to 165' now what. You should build experience and keep the skills fresh. Alright, so is Tec Diving for everyone? Absolutely not. But it is the way to safely dive beyond 130'. It is the way to have a 45 minute dive at 90' in Truk on the wrecks. It is the way to venture into gin-clear caves. 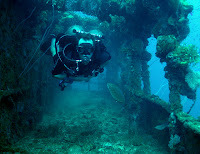 And it is the way to venture into wrecks and see how the inside of a shipwreck looks. I would argue that it's the only way to do those things.